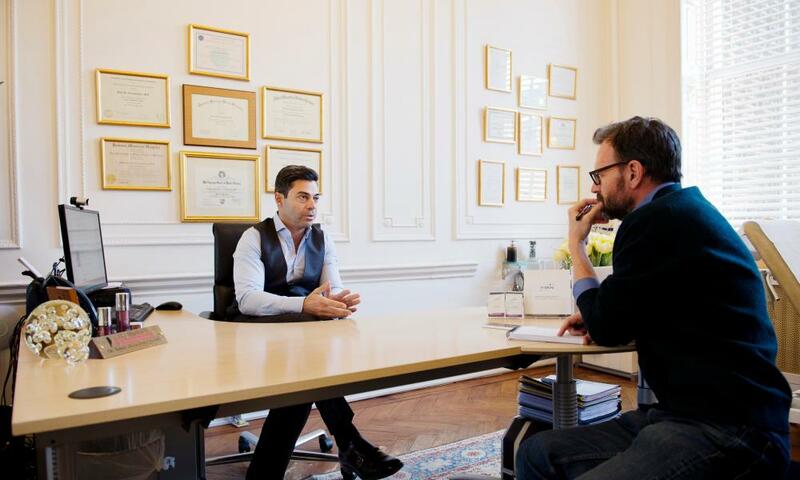 The office of plastic surgeon Dr Yannis Alexandrides, on the second floor of his clinic at 111 Harley Street, has a reassuringly expensive air. The ceiling is high, the desk large and the decor includes an artwork featuring a pair of full-size seated skeletons that the doctor, for obvious reasons, would prefer not to be photographed with. Dr Yannis, as everyone in the practice calls him, is himself very reassuring, calm and precisely spoken. If he concurs with what you’ve just said, he looks over his clasped hands and says “correct”. And he broadly agrees with my assertion that plastic surgery is a costly option (his prices for a facelift start at £6,500). According to figures released by the British Association of Aesthetic Plastic Surgeons (Baaps), there were 51,140 cosmetic surgery procedures in the UK last year, up a whopping 13% on the previous year. Of those, 4,164 procedures were performed on men. This is almost twice the number of men who had cosmetic surgery a decade ago, remaining at about 9% of the total. The broader figures chime with the numbers at 111 Harley Street. “Funnily enough, we’ve seen a small decrease in surgeries for men last year,” says Dr Yannis, “but we’ve seen a big increase in non-surgical treatments.” And that’s where the real uptake in male vanity seems to be occurring. Cosmetic procedures also break down into surgical and non-surgical: a facelift is the former; among the latter are “injectables” (Botox, dermal fillers etc), laser treatments, facials and prescription skincare regimes. At 111 Harley Street, they provide all this in addition to – or, increasingly, in place of – surgery. According to the clinic’s managing director, Agata Podwika, while surgery has seen a small decrease, the number of men having non-surgical treatments has risen by 50% year on year. 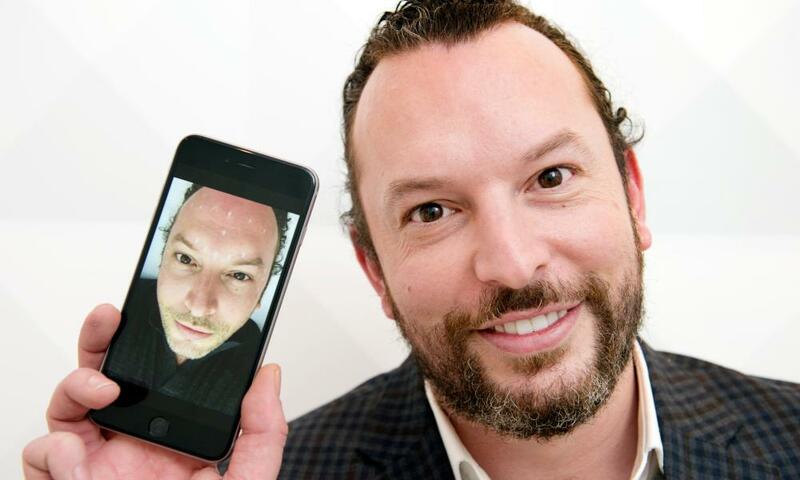 When Daniel Smith had his first Botox treatment last June, he was 34. Although he had been concerned about some wrinkles that he felt aged him beyond his years, he was apprehensive about what he calls “that frozen look” and only had a small dose. He has a picture on his phone from his most recent treatment, in December, with 13 dots drawn on his forehead and round his eyes, to indicate where the injections were to go. “I’ve lost quite a deep vertical and horizontal frown line, but I’ve kept some subtle age lines,” he says, “Personally, I saw a dramatic difference in the effect round my eyes, so I’m happy with that. I’d definitely do it again.” If he wants the effect to persist, he’ll have to do it again, in about three months’ time. The Silhouette, or “soft thread” face lift is one of several procedures marketed as a non-surgical counterpart to classic plastic surgery (Liposonix is a proprietary, noninvasive alternative to liposuction; a “non-surgical nose job” involves the strategic injection of fillers to minimise bumps or irregularities). With the soft thread lift, a needle is used to pull filaments under the skin of the face to tighten the neck and jawline. If that sounds horrible, try watching a YouTube video. The effect lasts between three and four years. When it comes to cosmetic surgery, it seems that dissuasion is often part of the consultation. A 2008 Baaps survey found that half of plastic surgeons turned away 10% of their patients in the course of a year, and that one in five surgeons had turned away 30%. Reasons for refusing patients included unrealistic expectations, preexisting medical conditions and people wanting procedures that weren’t warranted. I put it to Dr Yannis that lots of his patients must come with preconceived notions of what plastic surgery can achieve for them in terms of wellbeing. Click here to see David Mitchell discuss male-grooming products. This raises the thorny question of what precisely is a legitimate frame of mind in which to seek cosmetic surgery. “A lot of people come in,” says Dr Yannis, “and they say: ‘Look, I’m not really bothered, but everywhere I go everybody says, Oh, you look so tired.’” This runs counter to my experience of British life, where everyone goes round telling everyone else how tired they feel. It sounds like an excuse.